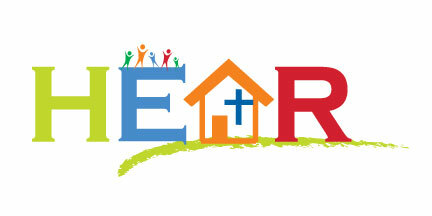 HEAR is a Christ led support group established in 1988. The group membership includes approximately 90 families with children of all ages. Positions in HEAR are volunteer positions with all of our members working together to organize functions and events. We offer encouragement, advice, and provide forums for homeschooling families to connect. Our events include fairs, seminars, field trips, co-op, field day, and more. The events offered are determined by the commitment of the volunteers under the guidance of HEAR Leaders and the HEAR Board. You may join HEAR at anytime throughout the year, but our annual membership drive, referred to as Kick-off, is every August. Annual dues are $30 per family, but during our kick-off in August, they are $25.00. Complete the membership packet (links below) and mail it in with your dues to become a HEAR member. Then mail your dues to HEAR, PO Box 792, Roxboro, NC 27573. Annual Dues are $30 per household. Pay in cash or check before August 31st and dues are just $25! *membership may not be required to participate in some HEAR events and field trips; however, HEAR members do receive first choice of events. To become a HEAR Member, complete our Member Application Form and other required forms included in the packet. Please thoroughly read all information in the packet. By signing the HEAR Member Application Form, you are agreeing with and to respect the HEAR Statement of Purpose and Belief, and to adhere to the HEAR Code of Conduct. Please note, membership is for the HEAR Fiscal year, August 1st - July 31st.. Membership is not prorated. If you are not able to complete an online form, email us at email@roxborohomeeducators.org to request a printable PDF membership packet. HEAR offers an early-bird discount through August 31st. . Annual dues are just $25.00 per household through August 31st. You can mail your dues using PayPal or pay in person at our HEAR Kickoff Meeting, which will be at Antioch Baptist Church on Monday, August 28, 2018 from 5:30 - 7:00 p.m.
To pay online: You may pay online using PayPal. Please send the money to email@roxborohomeeducators.org (send to family and friend). Dues are still only $25 in the month of August. After August 31st, annual dues are $30.00 per household. You may pay your HEAR membership dues online using PayPal. ​Membership dues are $30.oo per household for the fiscal year (August 1st - July 31st). Don't forget to submit your Membership Form! You may also send dues via PayPal as a transfer from your PayPal account. Go to your PayPal account > Send & Request > Send to Family & Friends in the US. Please be sure to denote in the memo the reason for the transfer, membership dues. ".....whatever you do, do it all for the glory of God."